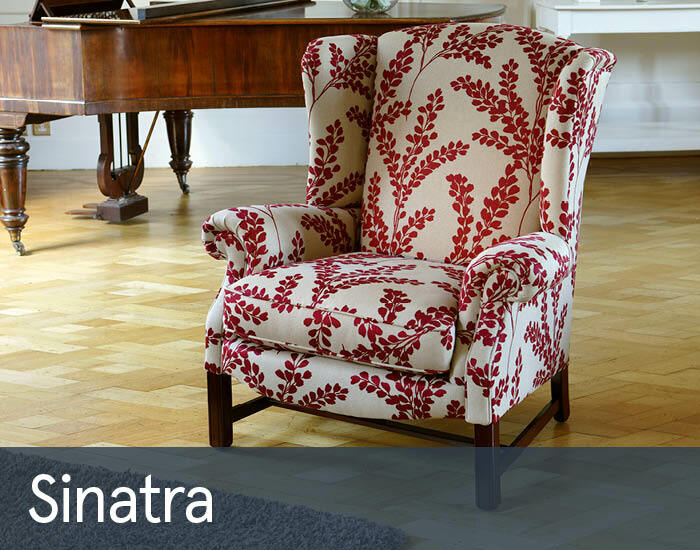 The Sinatra wing chair will provide the perfect accent to any luxurious living room - classical or contemporary. Its traditional design has a distinct contemporary twist, enhanced by luxurious self piped detail upholstering. Choose from a wide selection of stylish chenille, velvets and flat weaves to ensure a subtle blend or real statement piece.